These samplers debuted at our 2018 JBW Knitting Retreat, and were so well-loved, we decided to bundle up a few more of these delicious kits! 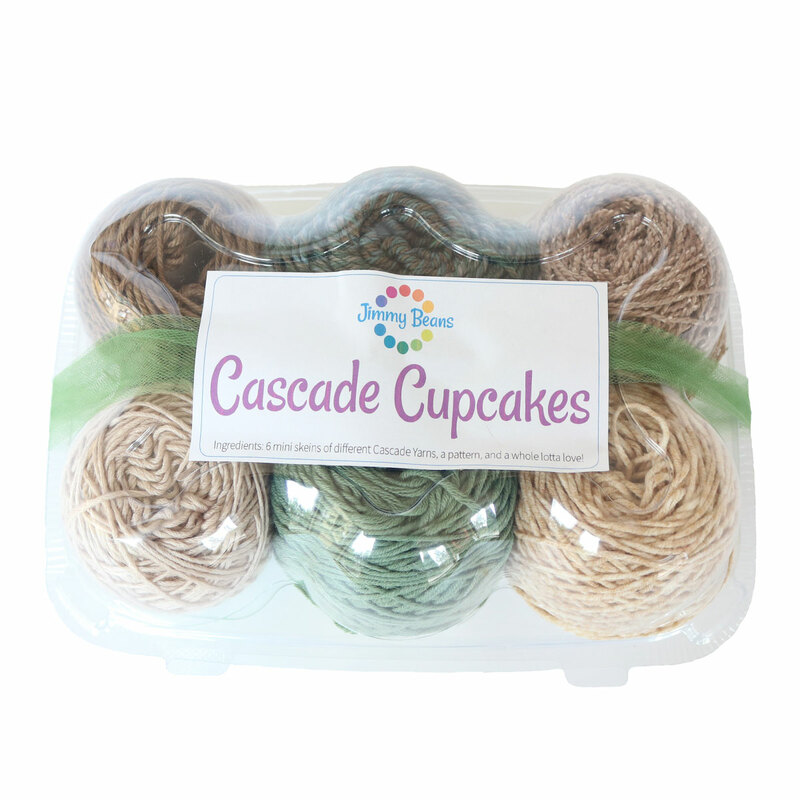 Our newest Cascade Cupcakes Sampler contains 90 yard samples of each of the following: Anchor Bay, Sarasota, Hamption, 220 Superwash Wave, Venezia Sport, and Roslyn. 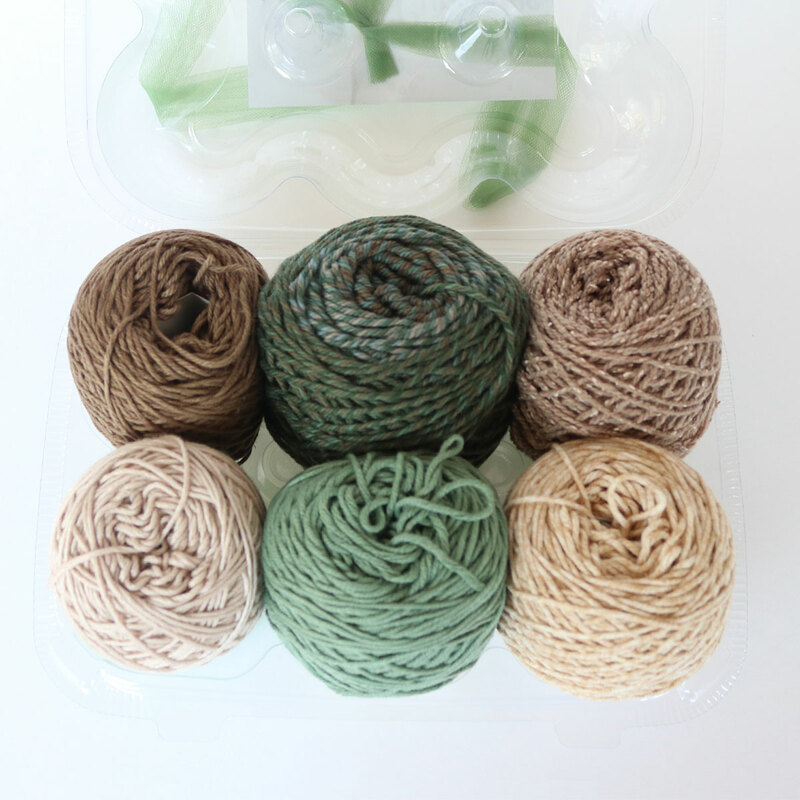 These yarns are used to create a kite-shaped wrap that transitions through 6 yarns and colors. 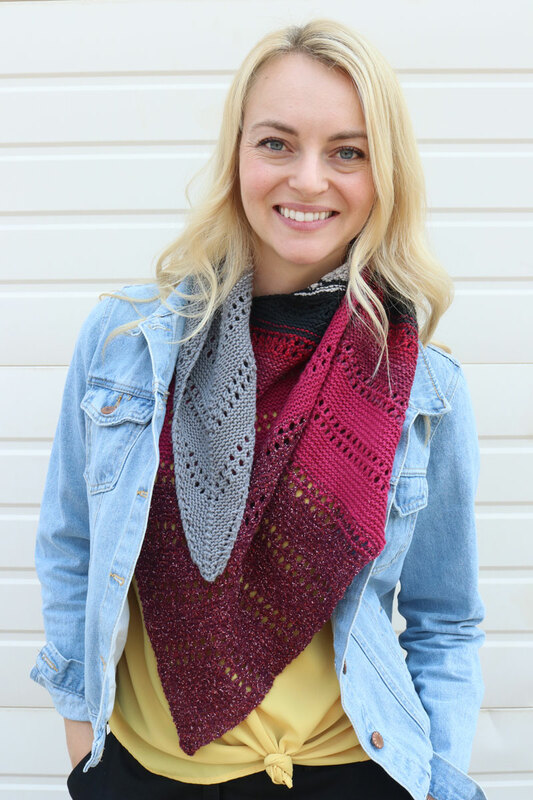 Also included with the kit is a copy of the Milvus Wrap, designed by Shannon Dunbabin. Don't let this sampler fly away without you! Contains 90 yards of Cascade Anchor Bay (50% Cotton / 50% Superwash Merino Wool), Cascade Sarasota (60% Cotton / 40 % Acrylic), Cascade Hampton (70% Pima Cotton / 30% Linen), Cascade 220 Superwash Wave (100 Superwash Wool), Venezia Sport (70% Merino Wool / 30% Silk, and Cascade Roslyn (65% Wool / 35% Silk). 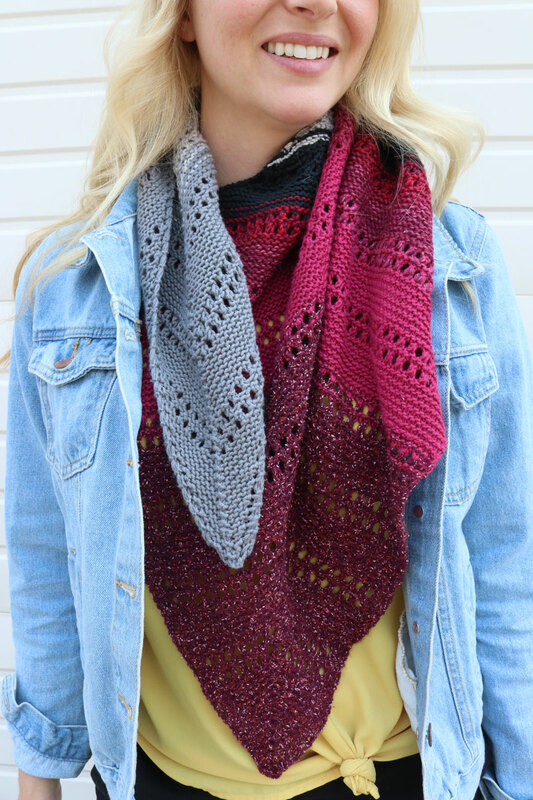 The kit also contains the Milvus wrap pattern designed by Shannon Dunbabin. Recommends using a US 6 needle. Jimmy Beans Wool Learn to Knit Kits is a similar kit: beginner difficulty and kits. You may also like Lorna's Laces The Shawl of Ice and Fire MKAL Kits, which is another similar kit: kits.